Update: As quickly as Twitter's actions went viral, their PR group rushed into action to explain why there is no hypocrisy here and that the answer is "nuanced." 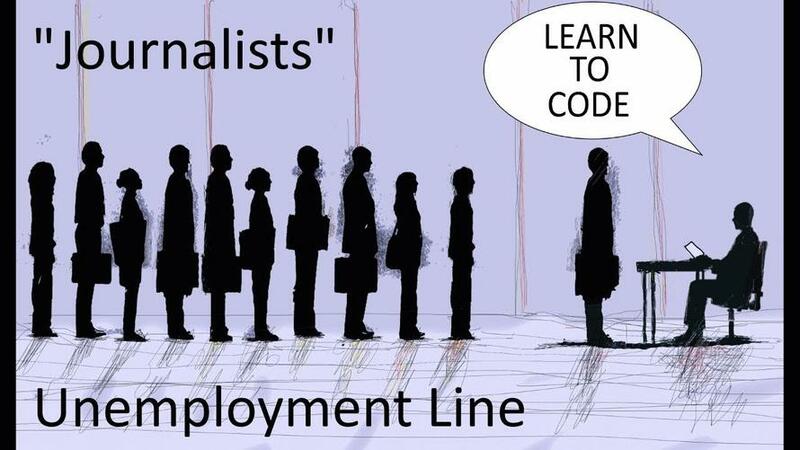 Presumably, the stories written by liberal journalists telling coal-miners to "learn to code" were just not targeted enough - if they had named a few coal-miners, perhaps that would make things a lot different. It appears - judging by Twitter's actions - that offering career advice to laid-off liberal journalists is very different from offering career-advice to laid-off middle American coal-miners. "I am told by a person in the know that tweeting "learn to code" at any recently laid off journalist will be treated as "abusive behavior" and is a violation of Twitter's Terms of Service"